Formula 1 stewards have decided to take no further action after investigating the crash between Charles Leclerc and Brendon Hartley towards the end of the Monaco Grand Prix. Leclerc slammed into the back of Hartley's Toro Rosso when his Sauber suffered a brake failure exiting the tunnel, with the impact forcing both drivers out of the race. Both drivers were summoned to the stewards after the race, but with the incident clearly being caused by a car failure no punishments were handed out. "The stewards reviewed video evidence and heard from the driver of car #16, Charles Leclerc, the driver of car #28, Brendon Hartley and team representatives and noted that the collision was caused by the failure of the left brake disc of car #16 and not through the fault of either driver," said the statement from the officials. F1 race director Charlie Whiting added: "If you look at the video, Charles braked 175m from the chicane. "I think he was nursing his brakes a bit. You can't blame him for that, poor lad." 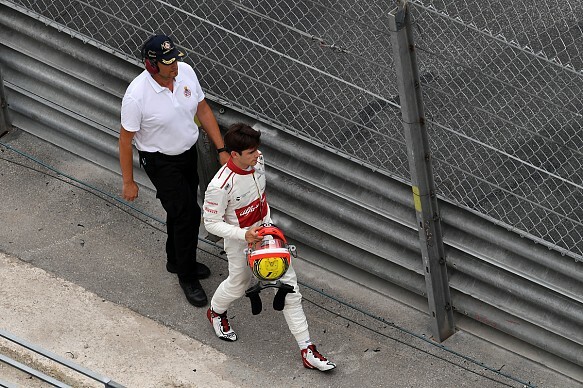 Leclerc said the problem had materialised a few laps before the incident. "Four laps before that I felt like the pedal was getting very long on the brakes, it was very inconsistent," he said. "Even putting the same amount of pressure on the pedal, it was decelerating, not decelerating, decelerating, not decelerating. Hartley added: "I made a small mistake which allowed Charles to get a little bit closer and he said he had a brake failure so he apologised for that. "I didn't see him coming at all, he came from a long way back, locked his front brake and took me out of the race." Hartley was pushing to build a five-second gap over Leclerc, after receiving a penalty for speeding in the pits. "With the issue he had, we probably would've finished five seconds ahead anyway," he said. 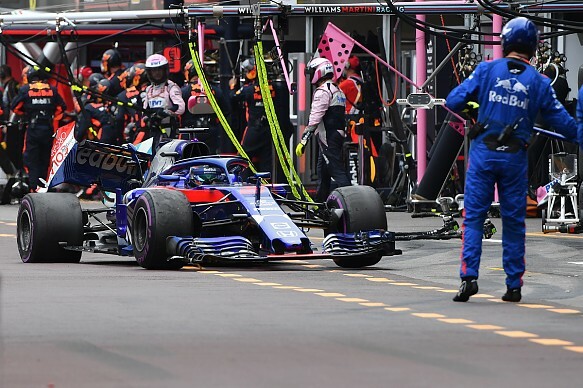 "I was a bit confused because I didn't really think I sped in the pitlane, I was a bit surprised, I thought I had done everything OK.
"I was also pushing to close the gap to Carlos [Sainz Jr], potentially to get by him. "I think it was possible to maybe get a five-second gap at the end to Charles so potentially it may not have been all bad."